Taizhou Pasmo Food Technology Co., Ltd.
4.Q:What is the term of payment9 A:As general,less than 3000 in advance. We will send you information and photos st different production stage of your order. and call or internet support to help customer to maintain it. 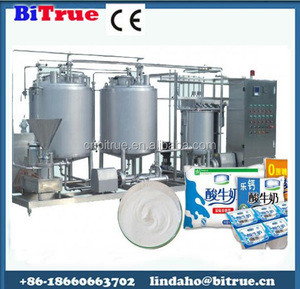 Industrial food grade yoghurt fermentation machine yogurt maker 1.Introduction of yogurt maker This yogurt making machine is used to making yogurt from fresh milk or leavening agent. 2 the inner cavity of stainless steel production, a strong corrosion resistance. 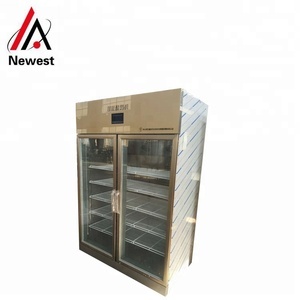 4 protect the refrigeration compressor, control circuit design has power protection and 3 minutes delay function. Standby During long no- use periods, the standby feature maintains safe product temperature in themix hoppers and freezing cylinders. Unit rear must be placed against awall to prevent recirculation of hot air. 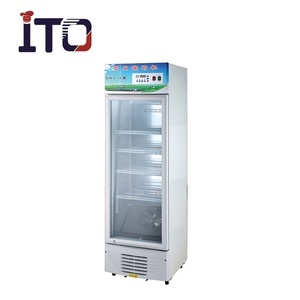 Hardness Indicator Displays hardness status of the refrigerated product toensure product quality. Q4:if i pay, but not get the machine, how should i do9 A:We are golden supplier of alibaba,Alibaba will protect ur interests. Q5:how do u ship the machine9 A: we will suugest the best delivery way according to machine size and weight. If small weight and size, will suggest delivery by Express;if big size and weight,will suggest by sea. 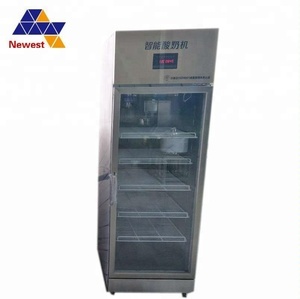 Huangshi Dongbei Refrigeration Co., Ltd.
3.Adding the agitation equipment, in sterilization process, ensuring uniformity temperature each parts, no skin on boiled milk. 4.Controlled by microcomputer, can set the time, temperature and temperature difference both when fermenting and sterilizing. 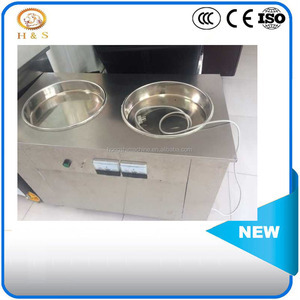 The machine wholly adopts high quality stainless steel material, ensuring yoghourt safe and healthful, furthermore, extending machine service life. 2. Q : How can I get sample and how long will it takes9 A: Sample fee will be doubled, but we will refund the extra money after you place an order to us. 5. Q : Can I have my own customized product9 A: Yes, your customized requirements for color, logo, design, package, carton mark, etc. are very 6. Q : Do you have quality control9 A: Yes, we attach great importance to quality control. Our expert account managers will answer all your questions and help select models what will best fit your needs. Talk to our expert account managers about your business and equipment needs and they will find the best offer for you. 5. Q: What is the production lead time9 A: Lead time is dependent upon time of year and order quantity. 2. Q : How can I get sample and how long will it takes9 A: Sample fee will be doubled, but we will refund the extra money after you place an order to us. 5. Q : Can I have my own customized product9 A : Yes, your customized requirements for color, logo, design, package, carton mark, etc. are very 6. Q : Do you have quality control9 A: Yes, we attach great importance to quality control. 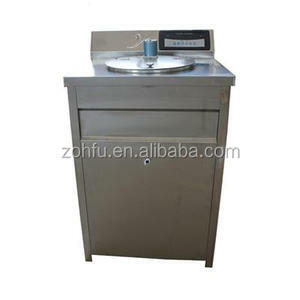 Alibaba.com offers 765 industrial yogurt maker products. About 9% of these are yogurt makers, 7% are ice cream makers. A wide variety of industrial yogurt maker options are available to you, such as free samples, paid samples. 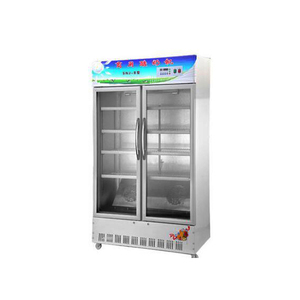 There are 765 industrial yogurt maker suppliers, mainly located in Asia. The top supplying countries are China (Mainland), Taiwan, and United Kingdom, which supply 98%, 1%, and 1% of industrial yogurt maker respectively. 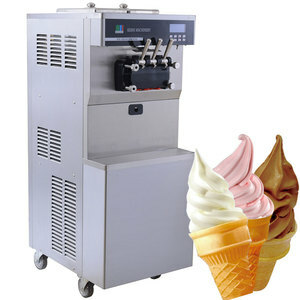 Industrial yogurt maker products are most popular in North America, Western Europe, and Northern Europe. You can ensure product safety by selecting from certified suppliers, including 353 with ISO9001, 343 with Other, and 74 with ISO14001 certification.